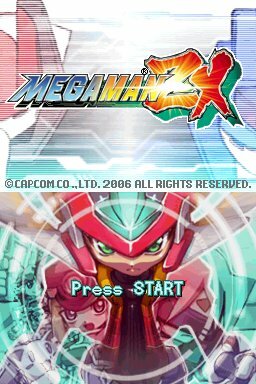 MegaMan ZX is a spin-off series simillar to the X or Zero Series. This series is the only one to allow you to play as a boy, Vent, or a girl, Aile. Using the Live Metals, Vent (or Aile) can transform into a reploid. At first, you can only transform into Model X who is a replica of MegaMan X. Later as you get more Live Metals, you can transform into others. Girrioute, Vent's (or Aile's) boss can transform into Model Z, which is unavailable to use. However, a similar model is availiable called Model ZX. Now there is a new evil, can Vent (or Aile) defeat it?